“My name is Alia which is referred to being high or the high ground. I was raised in Riyadh, the capital of the Kingdom of Saudi Arabia, in a family that consists of 11 daughters and 1 son. 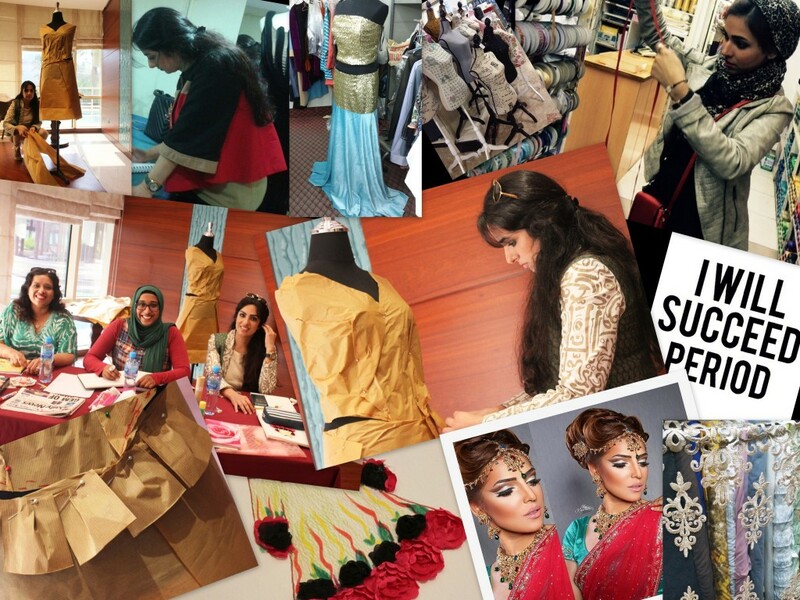 I was attracted to the fashion and design right from my childhood through my elder sisters. I used to stand in front of the mirror for hours and hours looking at my hair style and dresses and feel great about them. I used to choose my dresses by myself and I always get attracted to new, innovative, outgoing and strange colours & designs that are for those in my age”. “I was always attracted to fashion and design by looking at the fashion programs and reviewing the magazines but did not think at all that I will pursue the fashion and design career in one day. Despite being a girl and with the known relations between cats and girls, I have a different situation with the cats… I never liked them and it may be due to an incident when I was child”. 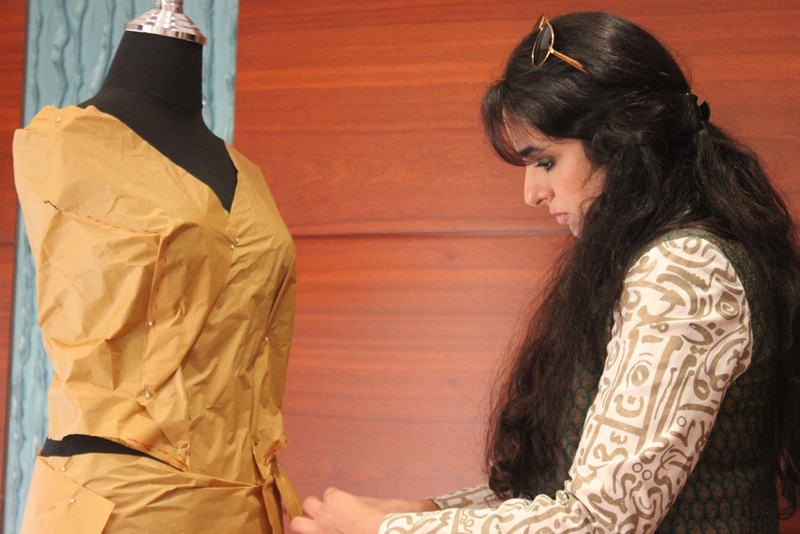 “Even as a child, I was helping most of my sisters and relatives in designing their dresses for special occasions and they all loved my designs, then, I started thinking about fashion and being an actual designers and I was looking at the programs and magazines but different than when I was a child!”, said Alia. Watching the fashion programs and designers inspire me a lot and gave me a lot of ideas and skills in additions to the ones that I was having. I was originally inspired by the Lebanese fashion designer Zuhair Morad. His professional designs and collections gave me the spiritual push to move forward in the fashion and design field. What would you say your unique style would be? “In my designs, I tried to bring the tradition and the beauty of both the east and the west together which resulted in a new kind of design and collection that impresses almost all the people that I know and requested me to help them in the design of their special occasions’ dresses”. “I have an English literature bachelors’ degree. Lights camera fashion is a big chance for me to achieve my dream. I learned drawing and how to choose fabrics and how to build relationships with fashion industry people like tailor and fabric shops which is a key quality required for anyone aiming for high in this industry”. Alia’s story is extraordinary. She came to stay two weeks in Bahrain and she worked with Hamra day and night till 8PM almost every day and completed level 1 and most of level 2. Alia is very sure what she wants and has a clear vision. She has made wedding dress for her sisters’ wedding and wanted to understand illustration and the business side of opening a real fashion boutique which is what she is currently learning at LCF with Hamra. “I thought I will face many problems first of all with my family and then the country itself… but unexpectedly I was astonished by the reaction of my family and friends and their support. 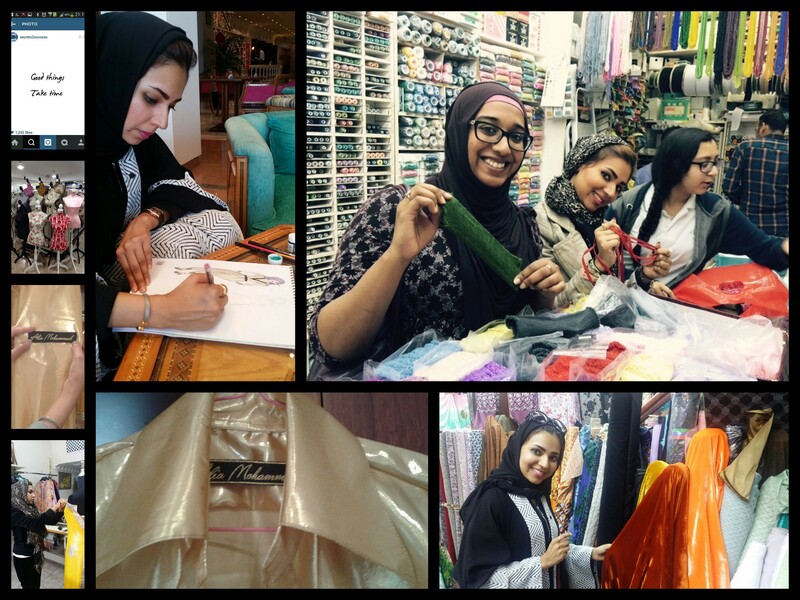 In Saudi Arabia, that is where I am from, ladies give a lot of importance to fashion and appreciate it much… I must say that I am proud to be a Saudi and that will never stop me from being a well known Fashion Designer”. “I am Rasha Fakhro, a house wife and I’m a mother of 4 children; 4 boys and 2 girls. I had studied and graduated from Qatar. I’ve got a Diploma in Interior Design. 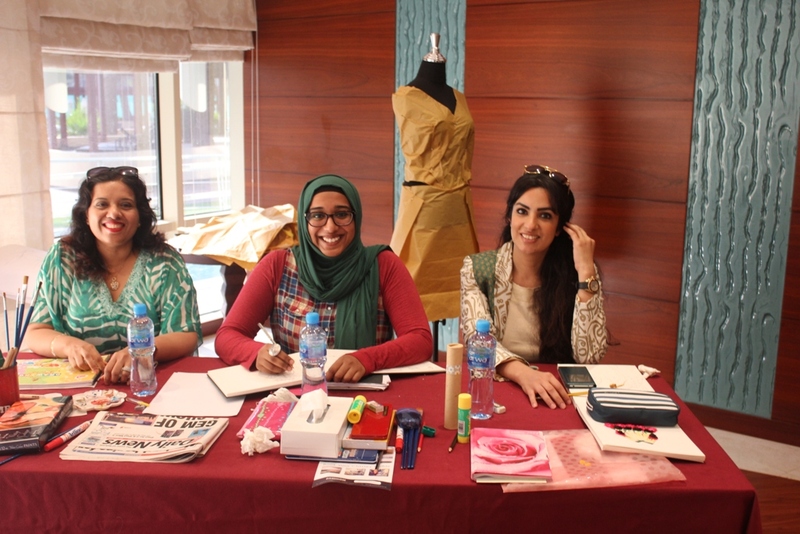 I am a Bahraini and I’ve always wanted to be a designer”.